The technology developed by a portfolio company of the Trendlines Group has played a central role in the world's first successful implant of a wireless heart pump device in a human being. The feat took place in December 2018 at the National Research Center for Cardiac Surgery in Astana, Kazakhstan. The recipient -- Ismail Tursunov, 24, an end-stage heart failure patient -- has since been discharged from hospital and returned to a normal life. CEO of Leviticus Cardio, Michael Zilbershlag, and a photo of his company's LVAD system implanted in a pig for testing. NextInsight file photo (circa 2016). Singapore-listed Trendlines announced today its portfolio company, Leviticus Cardio, together with Jarvik Heart Inc. unveiled their ground-breaking system on 6 Feb 2019 at a press conference. This followed years of development and animal testing of the "Fully Implanted Ventricular Assist Device" (FIVAD). An article about the implantation was published by the prestigious Journal for Heart and Lung Transplantation. At a press conference at the National Research Center for Cardiac Surgery in Kazakhstan, top heart failure experts from around the world announced the successful implantation of FIVAD into a human. The patient was in the audience during the press conference. Among those who participated in the press conference was Professor Mandeep Mehra – Professor of Medicine - Harvard Medical School, and Editor-in-Chief of The Journal of Heart and Lung Transplantation. “We, the medical community, cardiologists, cardiac surgeons, VAD coordinators and the patients have wanted this for decades,” said another participant at the conference, Professor Nir Uriel, Director of the University of Chicago Medical Center for Heart Failure, Transplant and Mechanical Circulatory Support. Currently, thousands of patients who are candidates for heart transplantation each year get a ventricular assist device (VAD), an implanted mechanical circulatory pump that is increasingly being used to support patients with severe heart failure. These devices need to continuously be connected to a power source requiring patients to have a wire (drive line) coming out of their bodies. Patients are highly vulnerable to device-related infections and suffer a major reduction in quality of life -- two issues which represent the most important challenges to extended use of the device. 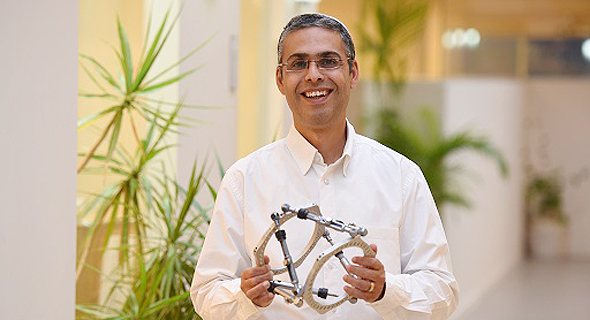 Leviticus, a medical technology company headquartered in Israel, began its technology development in the Trendlines’ incubator in 2010. Leviticus has raised US$9.2 million to date, and Trendlines currently owns a 19.64% stake in the company, according to a company presentation in Nov 2018. Leviticus has successfully developed its system powered wirelessly using both internal and external components, which allows patients to walk around without any physical impediments for up to 8 hours a day. The system incorporates a heart pump produced by Jarvik Heart Inc, an established manufacturer of ventricular assist devices.